On February 7, 1970, County Ground Stadium in Northampton was crowded with spectators. The weather is cloudy and the headwinds of the skin do not stop fans of the ball coming to the stadium with only one goal: to watch his favorite club face the European champion two years ago, Manchester United. The whistle for the start of the FA Cup V round was played. The players fight for the ball, apply the tactics of the coach and work hard to score goals. The poor ground conditions due to heavy rains of the previous night did not undermine the passion of each team. However, the strength of the team can not be fooled. United, armed with a row of Class A players, continues to shell the host's defense, Northampton Town, regardless of the grass of the ground buried in mud puddles. Behind the attack of Blitzkrieg United, the player number 11 seems the most prominent. With a look similar to rockstar - medium hair and hard hair - he repeatedly threatened the goal of the opponent. His legs were agile in dribbling, his body was agile after the capture of enemy forces. Finally, be the star number 11 in front of 21,771 spectators. He scored six goals, which brought the United fleet to a landslide victory with a score of 8-2. "We thought we could block his move on the field," said Northampton midfielder Graham Felton, referring to player number 11. "But he has all the tackles, he thinks faster, moves and everything, you just need to raise your hand and say, 'Hey, he's in front of us!' 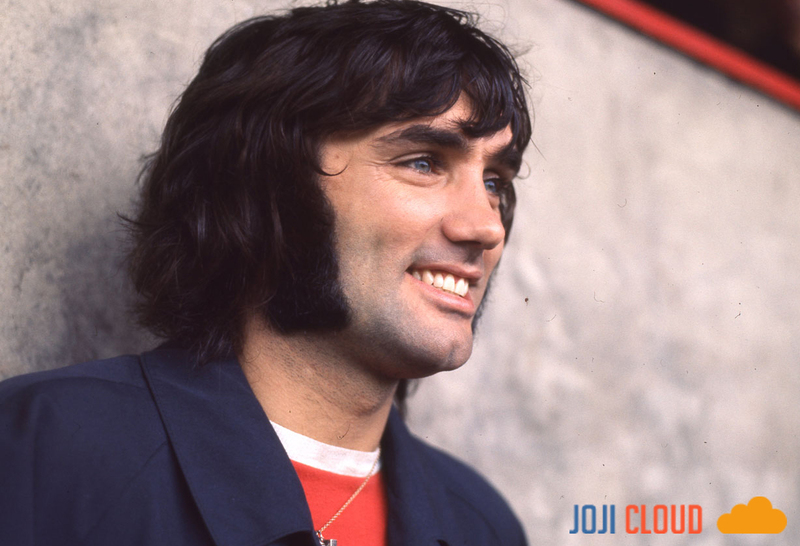 "
Player number 11 is George Best. He was born in Belfast, Northern Ireland, on May 22, 1946. His love for football had been with him since he was young, although the local Glentoran junior club refused to join Best, considered too small and too thin. . "
On one occasion, Bob Bishop, talent scout for United, witnessed Best's talent. Bishop was impressed by the actions of the best ball. Without thinking, Bishop contacted Matt Busby, United's coach at the time. Confident, he said to Busby: "Boss, I met a genius." Bishop's proposal was accepted by Busby. Best, who is still 15 years old, then signed a contract with United. For Best, the decision means two important things in his life. First, he joined one of the famous clubs. Second, he must emigrate very early to another country. The initial period in Manchester faced Best without difficulty. He was attacked by homesickness which caused him a concentration crisis. It took Best about two years to adapt to the new environment. In 1963, Best was able to control the situation. He began to be able to concentrate. His debut with the first team in September then continued by scoring the first goal of the next match. Watching Best was comfortable in the pastures, Busby gave him more opportunities. Busby's trust is not lost. The better becomes faster. Goal after goal, he produced with United. He showed the public that United was not wrong to ask his hand. His ability is a combination of balance, strength, murderous finals and skill to pass opposing players arbitrarily. Slowly, United also had a series of titles. One of them was the league champion in 1964/65. With Denis Law, Bobby Charlton and David Herd, Best became a key figure in United's revival after the 1958 Munich plane crash, which killed eight players and three other crew members. The best moment of Best did not stop there. In 1968, he helped United to steal the Champions Cup after defeating Benfica with a crushing 4-1 score. A goal was given by Best. The victory over Benfica became the second after. In 1966, United also beat Benfica with a 5-1 position. During this match, Best scored two goals.